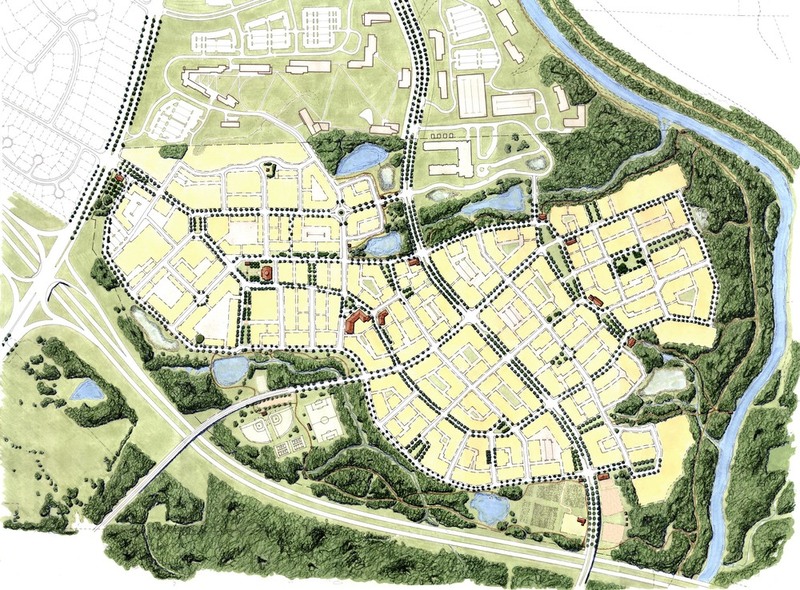 5401 North is planned to be a 390 acre, mixed-use settlement located in the fast-growing Raleigh-Durham-Chapel Hill region of North Carolina. The site is approximately 7.5 miles northeast of Downtown Raleigh. 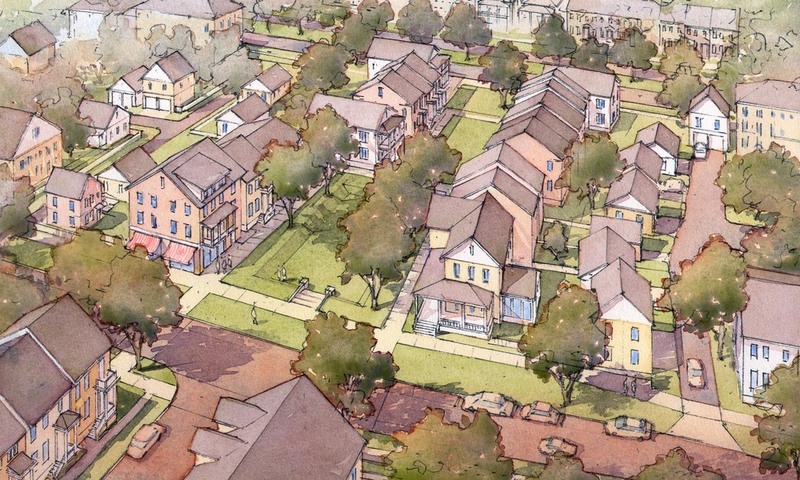 The new settlement at 5401 North will contain a diverse mix of uses, including civic, retail, office, institutional, and residential components. 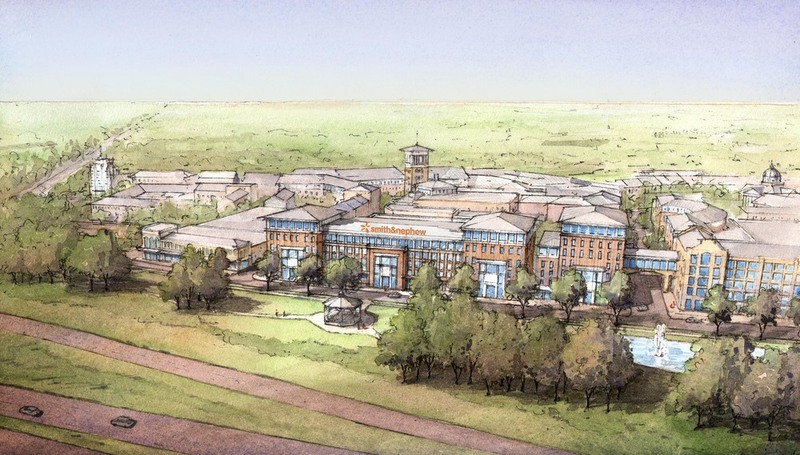 With a high level of non-residential uses, including a grocery store, technical college, movie theater, and more, this project will become a complete Town Center for residents and a true destination for the surrounding area. 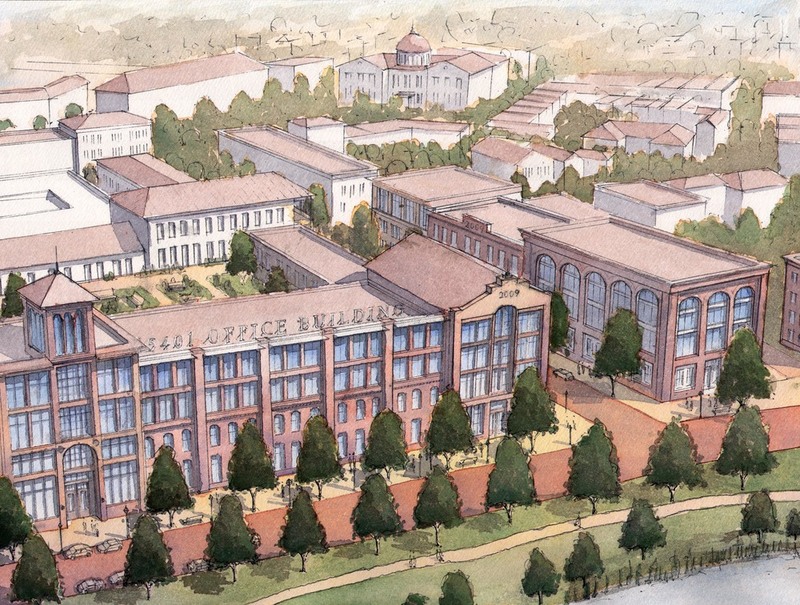 Assisting in the creation of the plan were Walter Kulash, PE, Robert Sharp, Architect, Chael, Cooper & Associates, Sottile and Sottile, Kimley-Horn and Associates, Tony M. Tate Landscape Architecture, and Withers & Ravenel.